Easter Easter Easter! 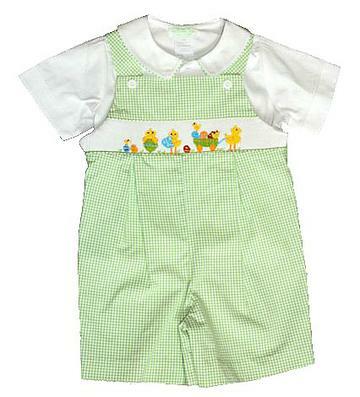 This boys green and white gingham check romper has handsmocking on the chest with chicks and eggs. Under the smocking is two pleats that dress this outfit up a ton. There is two buttons to get on/off easily and snaps along the inside of the legs to accommodate diaper changes. 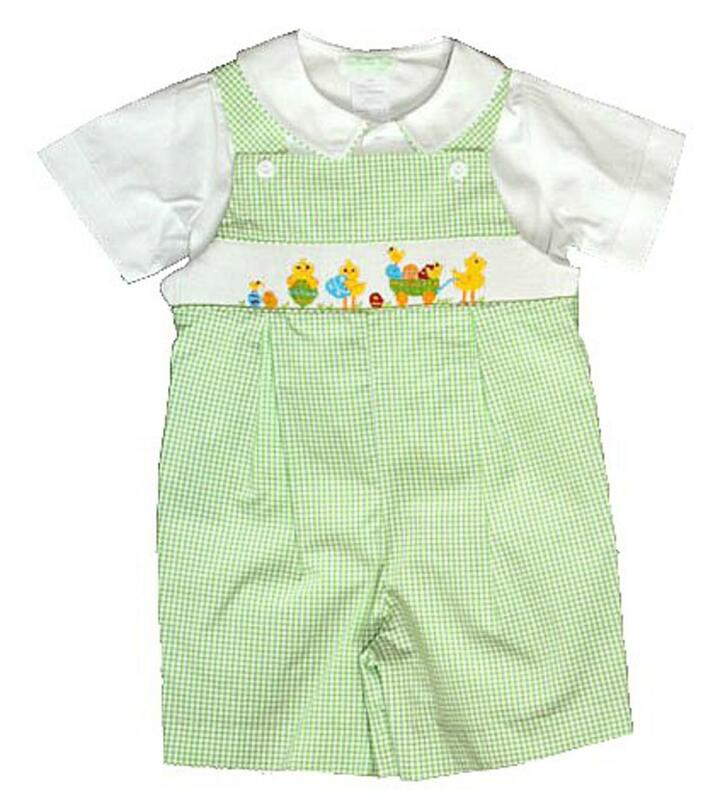 There is a matching collared t-shirt with gingham green and white piping and buttons down the front to get on/off easily. This adorable easter outfit is 100% cotton.